Hello! 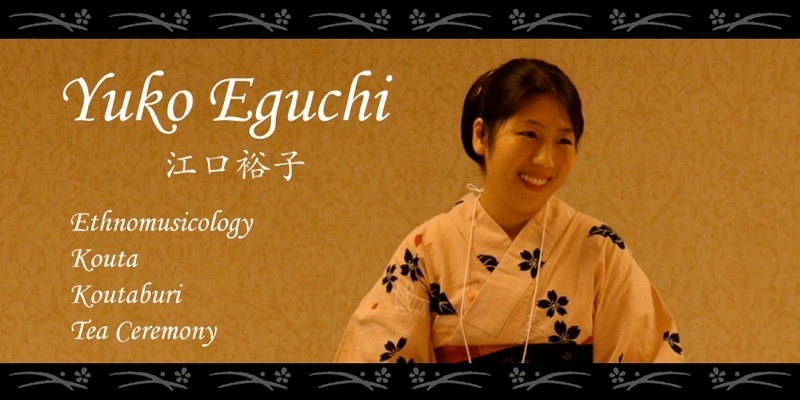 My name is Yuko Eguchi. 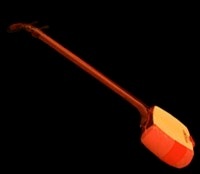 I perform Japanese kouta (a song with shamisen accompaniment), koutaburi dance, and tea ceremony. I also translate written Japanese documents and serve as a Japanese-English interpreter. I hold a Ph.D. in Ethnomusicology from the University of Pittsburgh. One of my favorite tea ceremony teachings is the expression “Ichi-go-ichi-e.” It means, treasure every moment and occasion, because it may never occur again. I value every moment I live; I respect every person I meet; I appreciate every opportunity I get, because these things happen only once in a lifetime. With this teaching in mind, I would like to thank you for visiting my website. I am glad you stopped by. This page and its contents (text, images, videos, etc.) are copyrighted by Yuko Eguchi and may not be used without permission.